Mega Sale! 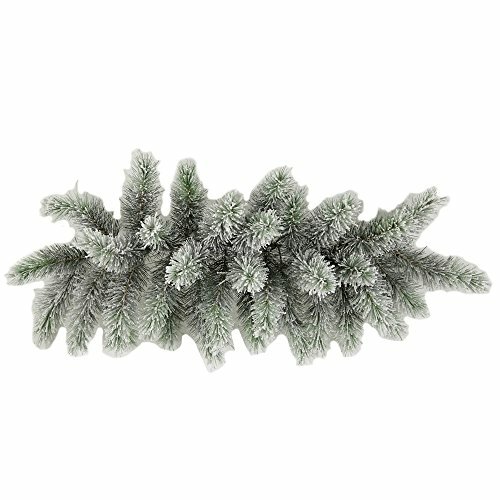 Save 24% on the Admired By Nature GXW4914-SNOW 34 Tips Christmas Pine Swag with Frosted Snow Tips by Admired By Nature at Two Clock. MPN: GXW4914-SNOW. Hurry! Limited time offer. Offer valid only while supplies last. Bring a little winter wonderland to the comfort of your home. Luscious and dense, this pine swag is frosted with faux snow for a dreamy winter feel. Bring a little winter wonderland to the comfort of your home. Luscious and dense, this pine swag is frosted with faux snow for a dreamy winter feel. Decorate it anyway you want, the adjustable tips will give you all the design freedom you need. Perfect for hanging on door/wall, or lay them flat on the table as centerpiece, in indoor or covered outdoor locations. Size 27"L x 14"D x 7"H. Dimensions based on image shown. Primping required to match on the image shown.